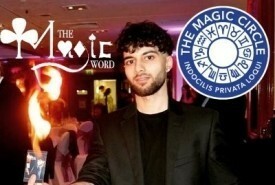 Hire Magicians based in United Kingdom - No Agency Fees! 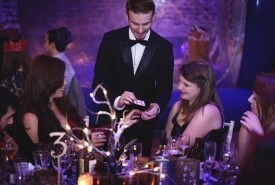 Find the best Magician in United Kingdom for your Wedding, Party, Corporate or other Event Entertainment in minutes! 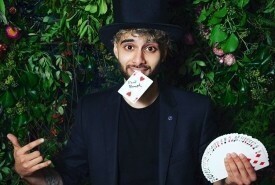 With us you can enquire & deal 'directly' with a United Kingdom Magician...that means no middle man & no 'Agency Fees' added! 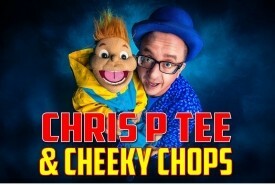 Hi Chris, I just wanted to say from my husband and I (sounds very odd) .. 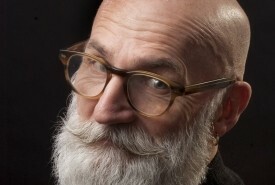 THANK YOU.. a HUGE thank you! You were just as fantastic as we thought you would be.. luke was hesitant when I said I had hired a magician (he was thinking top hat, bunny rabbit kinda thing) but I am pretty sure him, myself and all of our guests think your wizard of some sorts. They were All saying "where did you get him? This guy is insane" Thank you for being a part of our day. 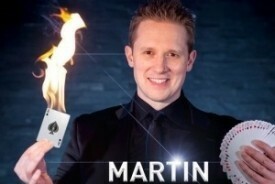 Great magician. Definitely knows how to put on a show!!!! 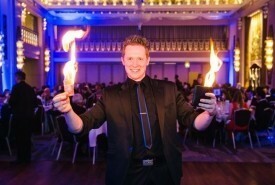 We booked Owen having seen his amazing magic at a wedding fayre prior to our big day. 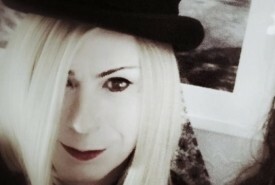 As impressive as he was in this environment, in a 'live' setting he really made a big impression on friends and family. I can truthfully say that booking Owen was probably one of the best decisions we made. Booked to fill the 'lull' period between sit down meal and the arrival of our evening guests, Owen was never intrusive and mingled with our guests in an friendly, approachable manner that had them amazed with a variety of illusions that had everyone talking the following morning over breakfast. 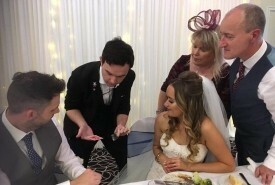 What was a particularly nice touch was a card trick performed specifically for myself and wife which he then framed in a presentation case for future memories. Can thoroughly recommend Owen. 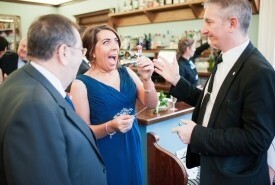 He really did light up our wedding..